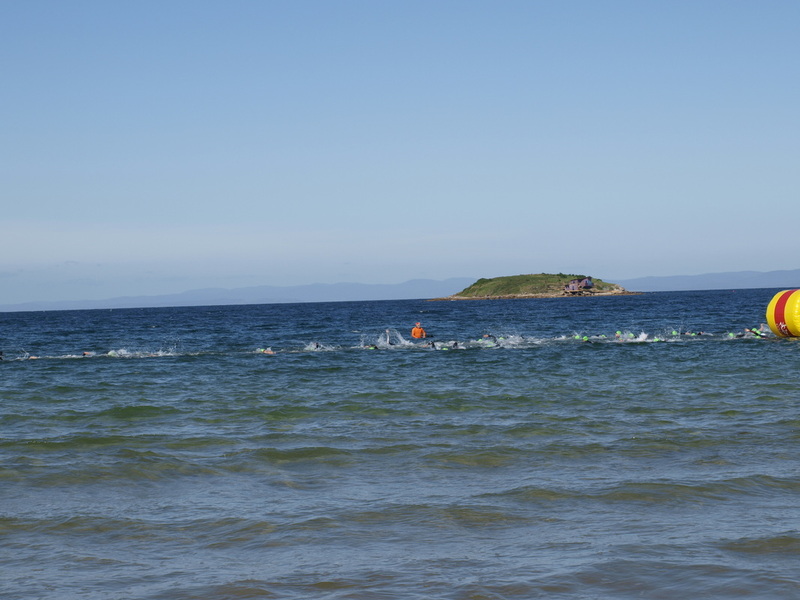 The Coles Bay Half-ironman is one of those events that is just the perfect combination of location, community and actual course conditions. Like any event of this distance it would require cabinet-level simplistic optimism to describe it as an easy course. However it is accurate to describe it as picturesque and well-supported by volunteers and the local community. I was pretty excited when my wife agreed to come up and enter with me. 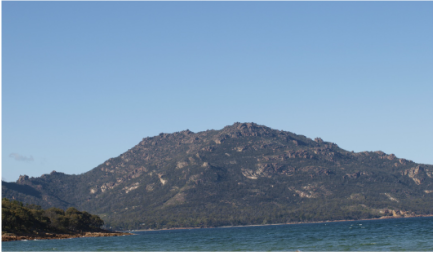 The Freycinet Peninsula is a pretty amazing place to spend a weekend away anyway so with the added attraction of the triathlon, this weekend was shaping up to be awesome. Luckily for us, our friend Sarah decided to come up too. Now Sarah- or SDH as the entertainment pages refer to her- is kind of like a real life version of Van Wilder Party Liaison. While she isn't capable of typecasting Ryan Reynolds for a decade, she can pretty much make a party happen wherever she is. (An inverse phenomenon to Meg Lees' ability kill a party, no matter how healthy it seems- you won’t find many Australian Democrat voters to argue with that one, but you won’t find many Australian Democrat voters at all anymore). Within 24 hours a small posse of friends had been assembled- some to participate and some to support- and our friend Sammie had found a holiday house for us to hire out. The weekend had gone from awesome to Chuck Norris-level epic in no time. Another example of why I love living in Tasmania. The night before was more boisterous than I would normally expect to be before a big event, but with good friends around, I wouldn’t have had it any other way. We still got to bed early enough but nerves (and continued worry about our climate and refugee policies) made sleep elusive anyway. The morning finally arrived and we did a final check of all our gear before setting off for the race. 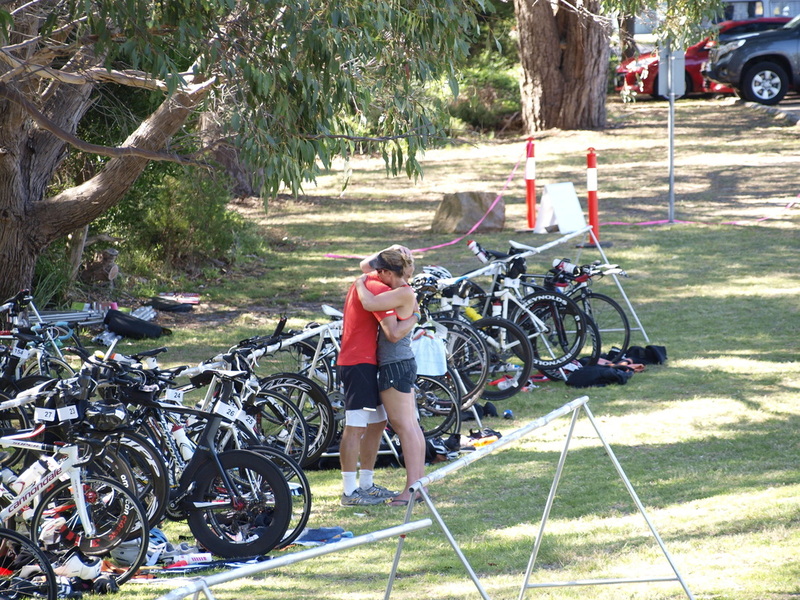 The transition area had a friendly buzz of excitement to it. There were so many smiling people in tight lycra and rubber, I had to double-check we were all getting ready for a triathlon and not tonight’s Mardis Gras. Reassured that we were still in Coles Bay, I laid out all my gear and checked my bike seat was less likely to move than George Pell, before throwing the bottom half of the wetsuit on and moving over to hear the race brief. This was kept pretty quick and we were soon out onto Muir’s Beach heading for the far end where the event started. The race started and we headed out into the unusually choppy swell towards the first turn marker. This drone video by Charlie Parnham shows the amazing setting the race begins in. There were a lot of thrashing bodies and people getting kicked and slapped- kind of like federal Labor Caucus meetings. I very quickly decided that type of swimming wasn't for me and veered to the outside lane- happy to swim with less company than Donald Trumps' equity advisor. As I hit the first turn marker I made the same mistake Malcolm Turnbull made when he came to power- straying too far out to the right and taking too long to correct my course. Much like our PM, I lost a bit of momentum before I could get back on track. There was a long stretch of about a kilometre between the second and third markers. I didn't actually see many swimmers until they appeared next me and then I didn't know who was overtaking who. 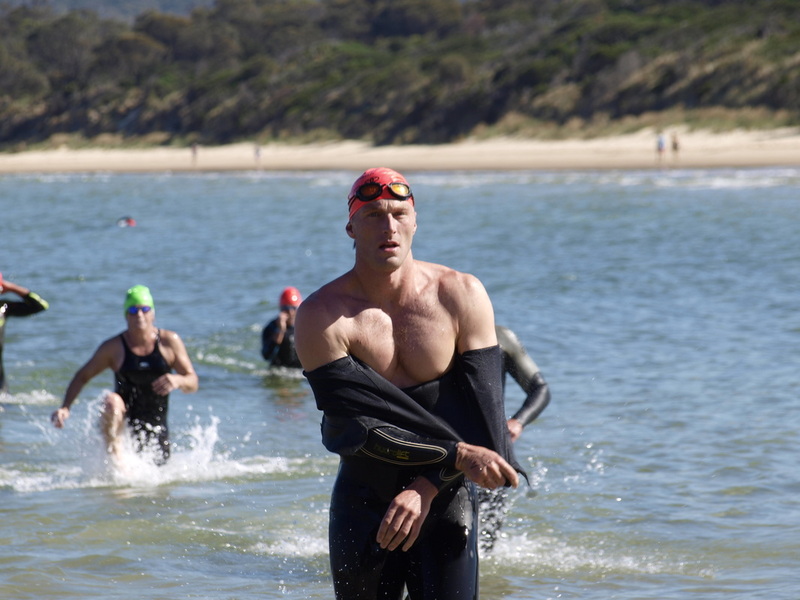 After passing the third can, I knew I was most of the way to the end of the beach, but the last 400m seemed to drag more than an episode of My Kitchen Rules. 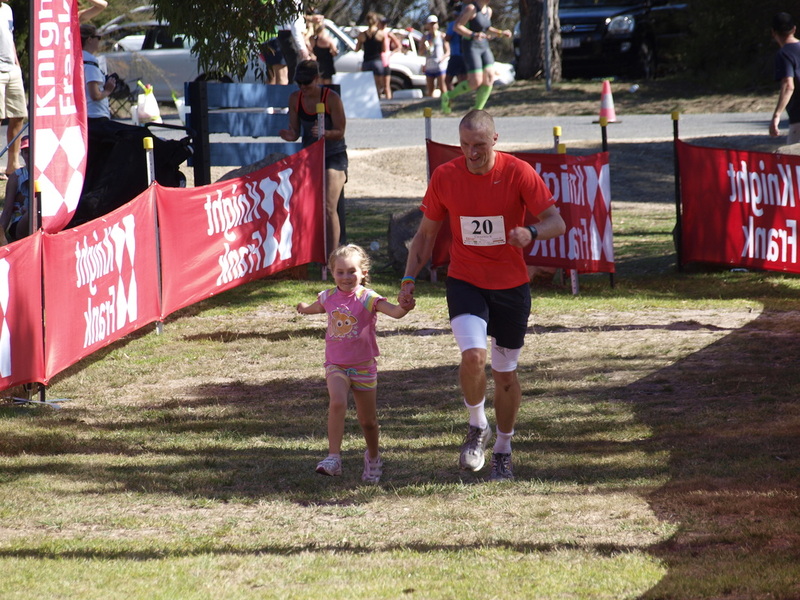 After 1.9km (and whatever extra distance I did because I swim about as straight a line as Lindsay Lohan walks when asked by traffic police), I ran out of the water and had the thrill of high-fiving my beautiful goddaughter on my way to transition. I was surprised to see most of the bikes were still racked, meaning I was nowhere near the back like I had assumed. I didn't rush my transition- getting changed, having a drink and eating a banana. Unfortunately as I was finishing this lengthy process I had a bit of wardrobe malfunction (thankfully not of the Janet Jackson variety) with my race number which was pinned to my shirt with safety pins. Unfortunately the tiny pins had less capacity to hold a position under pressure than the government on tax policy, flying apart as I struggled into my shirt. Between my snacks and running repairs on my race number, I had many racers overtake me in the transition area, but I wasn't too concerned. I wasn't in this race to win it. When I finally got on my bike I set out onto Coles Bay Road feeling pretty good and moving quicker than I expected. 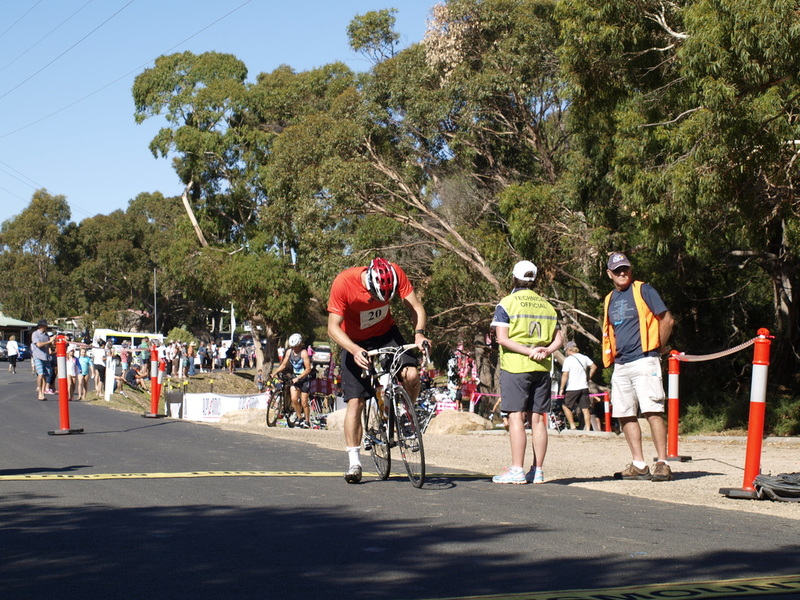 In the first few kilometres the course dips and rises until you pass Saffire and it begins to flatten out. 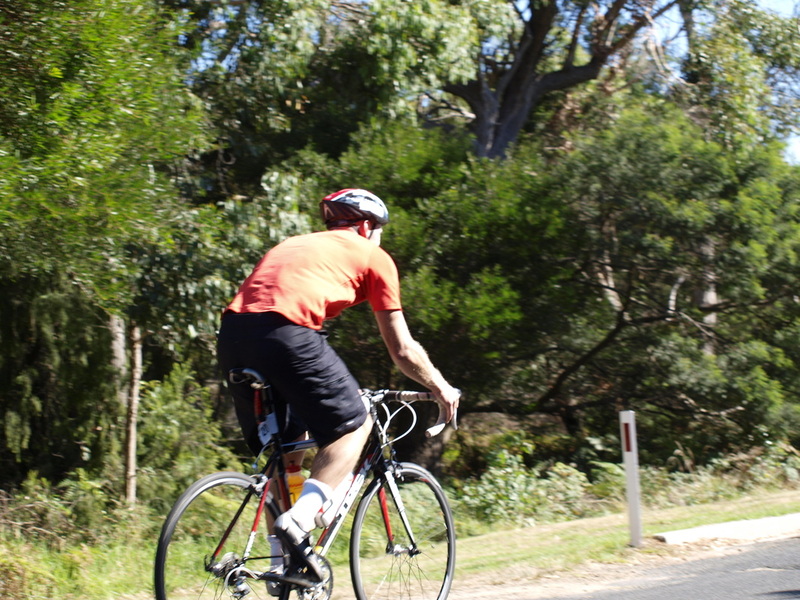 The hill next to Saffire is a bit of an effort but being more stubborn than technically competent on a bike (the cycling equivalent of Tony Abbott), I actually do comparatively well going uphill so take a fairly pragmatic view of any hills in the course. In relatively little time I hit the ten kilometre mark where the short course riders turned around and kept riding as the road got flatter still. Eventually I reached the 22k turnaround mark feeling pretty good and still ahead of the time I would have expected. It was at about this point that I started doing what I always tell myself not to do and reset my goals to a much more ambitious time, without allowing much for the effect of fatigue (I call this TV producer fallacy and use it to explain all the awful re-runs and spin-off shows that are made). After turning around, I realised one of the reasons the first leg had been quick was I had been riding with a tailwind which I would have to ride back into. 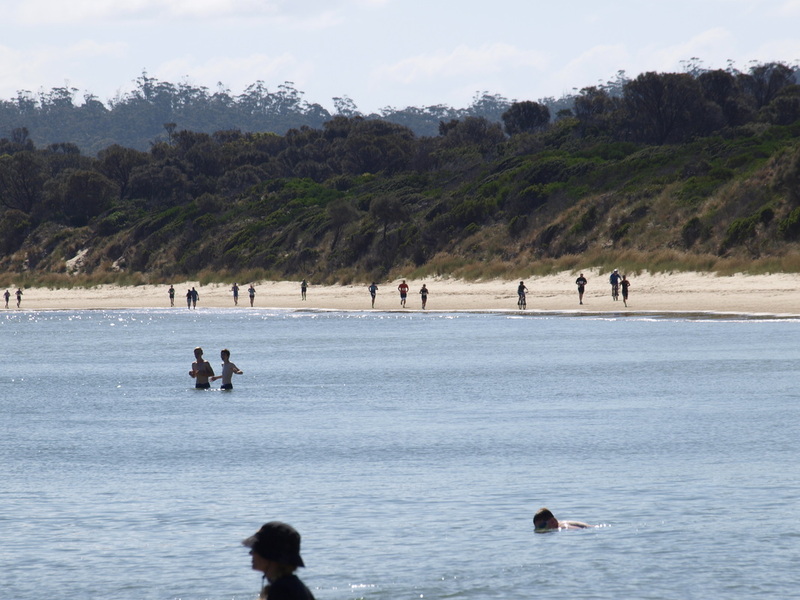 One of the few progress markers on the ride was the Friendly Beaches turn off, which was 18km from Coles Bay. About two minutes after passing that, I was already optimistically anticipating reaching the short course turnaround point next. This never actually happened as it had been packed up, so the only other exact distance indicator I had was a sign that told me when I was 8km from the local store. The Hazards began to appear above the horizon as I got nearer to Coles Bay and suddenly I felt like I was getting close. 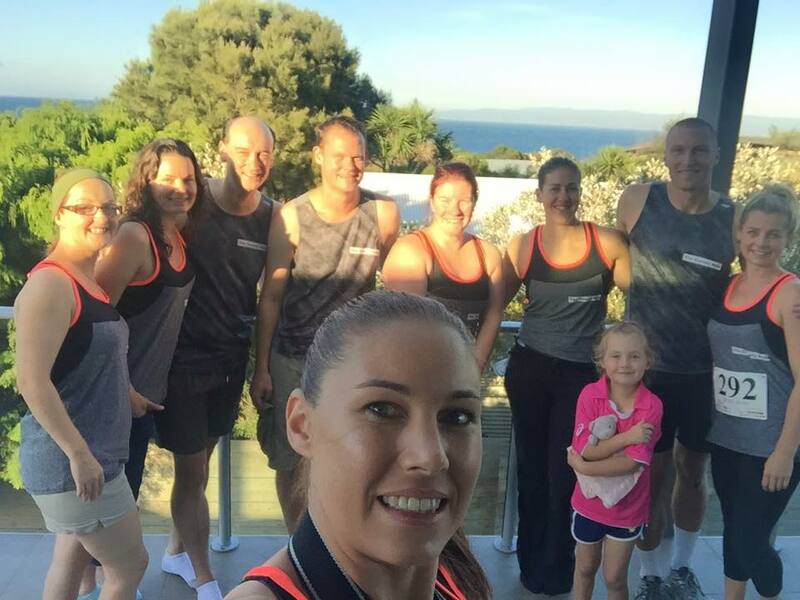 My energy levels were as depleted as the Tasmanian energy grid when I finally reached town and turned for my second lap, although I was momentarily renewed by the friendly words and faces of a few of my supporters who had been waiting there to cheer me on. Running a whole lot less fresh than the first lap, the hills of the early part of the course were more noticeable the second time around. It was with some relief that I got to the end of the hilly section and tried to settle into a rhythm (as anyone who has seen me dance would know, this was never going to work out- I have no rhythm). I also discovered I need to work on my core strength, as holding my position was starting to get very painful- although it doesn’t help that my back is as flexible as Eric Abetz on social policy. Eventually after 67km, I turned thankfully for home, hoping to access a last reserve of strength that was hiding as determinedly as Peter Dutton’s compassion. I did alright for about the next 15km or so, but when I stood up to climb another rise I felt shuddering cramps ripping through my legs and had to sit down immediately and drop down to a much lower gear. I had a momentary fear that my legs would lock out entirely, but the slower and easier pedaling seemed to loosen them and I was able to keep going at a slower pace. People are usually happy when they get to Saffire, but rarely as happy as I was reach the sign towards the end of my second lap, knowing there was little more than a kilometre to go. I rolled fairly gently into Coles Bay and dismounted on wobbly legs, looking a little like a foal learning to walk before I got my balance and jogged into the transition. I dumped my bike quicker than the UNHCR dumped Samantha Armytage but other than that it was another slow transition. This didn’t really worry me, as I figured the break would allow my legs to adjust. I had another banana and a drink, got changed again and threw on some sunscreen before staggering my way to the start of the run. The idea of running a half-marathon at this point had about as much appeal as one of Kim Kardashian’s selfies. I had expected my running leg to be my strongest, but after putting in a big effort on the bike, I was more fatigued than I expected to be. 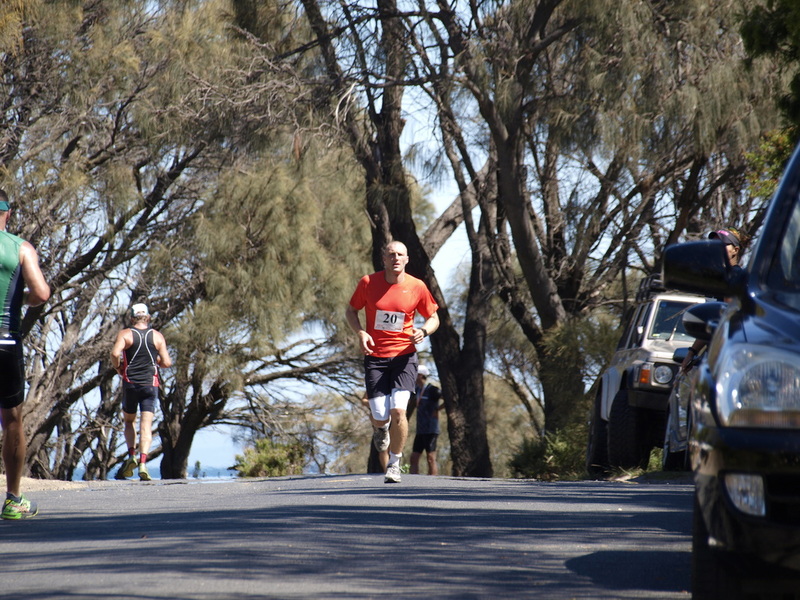 Struggling with the heaviness in my legs I made my way slowly out along the esplanade below the town, reaching the jetty after about a kilometre and turning to run back past the transition area and down to the beach. At this point in the day the beach, seemed to stretch further than Scott Morrison's idea of truth. There was a red tent at the other end of the beach where I had to turn around, but from here it was harder to see than a non-homophobic argument against the Safe Schools anti-bullying program. After returning from the beach, I had completed the first of four laps and I was given a coloured wristband to help keep track of my laps. 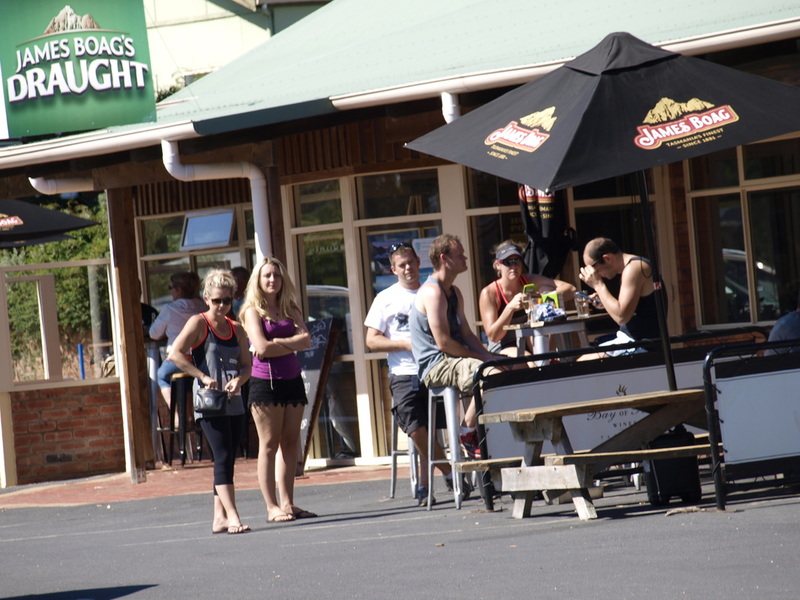 I also received a stream of vocal encouragement from my friends who had set up at the pub across the road and would either come across to cheer me on or just shout from across the street every time I came past. The first lap was quite slow, as I was still shaking out cramps from the ride, but I managed to pick up some speed on the second, before things started to get really tough in the second half of the run. The sun was hammering down, particularly when we were out on the beach (here is a link to another of Charlie Parnham's drone videos of the run leg). I could actually feel the world seem to get smaller as my vision began to narrow. I'm told this can be a symptom of heat illness, but it occurred to me it could also be a result of following Corey Bernardi’s twitter account too closely. I plodded along, at a slower speed really appreciating every word of encouragement or kindness I got from friends and strangers alike. Eventually I earned my third wrist band to signify I was up to my final leg. I tried to pick up speed in the last but my legs were responding to my will as indifferently as our elected representatives. I hit the beach for the last time and managed to pace myself off someone who had just overtaken me, to get me to the turnaround point. Something clicked in my head when I turned and I found a last effort to finish the race with a bit more speed. My beautiful goddaughter, Eli, was waiting for me just before the finish line and we ran to the finish line together with a lot of people I care about cheering us on. It was an intensely emotional experience for me. Not only is Eli very special to me, but I had chosen this event as a marker to prove to myself that I was fully recovered from the recovery process I had been going through for much of last year. 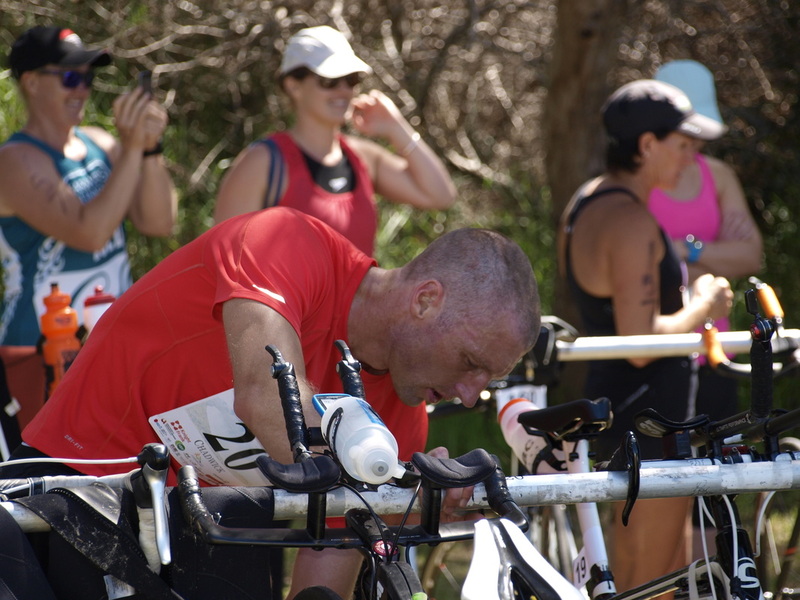 Even though my endurance had not been quite what I would have liked, the achievement of competing the event without stopping was incredibly rewarding. I spent a few minutes alone after the event, reflecting on every aspect of the experience and all that I am thankful for in my life. Between the coloured wristbands and the unusual rush of chemicals in my brain, I could easily have been at a music festival. After sharing a few moments with my incredible wife, I went over to thank my friends for all their support through the race. We went down to the beach for a swim before heading back to the house for full celebrations.